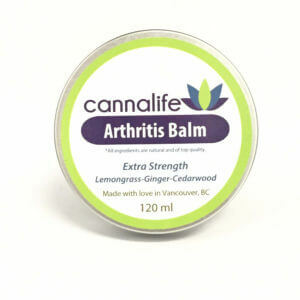 Our arthritis balm is deep penetrating and heat activating providing immediate relief to pain and inflammation. 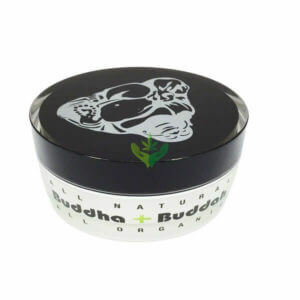 Combines the potent synergy of cannabis sativa, comfrey and nettle plant medicine. 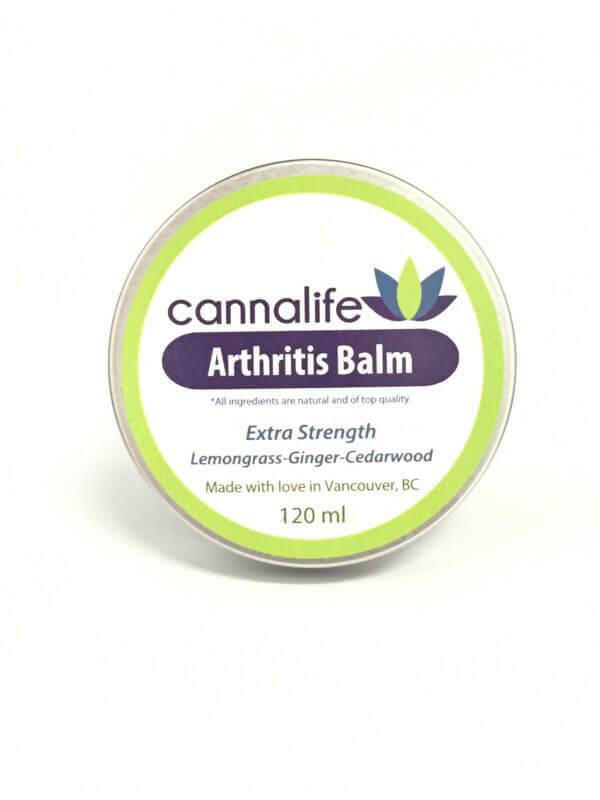 Our Cannalife arthritis balm is deep penetrating and heat activating providing immediate relief to pain and inflammation. 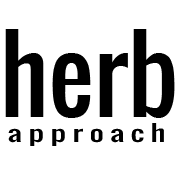 Combines the potent synergy of cannabis sativa, comfrey and nettle plant medicine. Effects: Uplifting, euphoric, relaxing Helps to: Alleviate pain, stress, anxiety, and is very effective as a muscle relaxant Great for: Inflammation, Arthritis, Aches and pains, Tissue and nerve damage Ingredients: Cannabis and nettle infused olive oil, beeswax, castor oil, comfrey oil, coconut oil, vitamin e oil, essential oils of lemongrass, ginger and cedar wood. My first few applications I assume I didn’t use enough. Once I understood to apply much more – it works great. Ok product. I’m going to use it some more to see if I just need to apply more of it … it just didn’t have a huge impact for relief of inflammation and targeted pain and the relief doesn’t seem to last long. I also hate the smell, but that’s a personal preference.